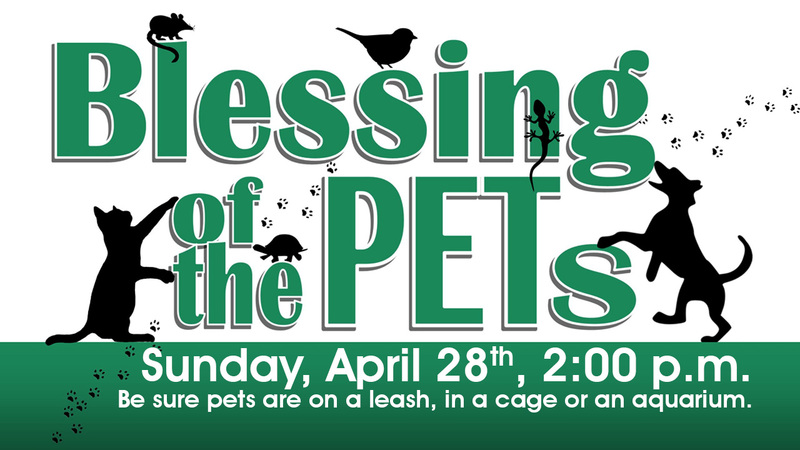 On April 28 at 2:00, Suncreek will be celebrating a “Blessing of the Pets” in the grassy area behind the church. There will be a very brief liturgy, then we will line up to have our pets blessed and to thank God for the good gift of these animals. This will be great fun for all ages, so plan now to bring your animal! Please be sure pets are on a leash, in a cage or in an aquarium.